Tropical islands aren't the only place to get away to. 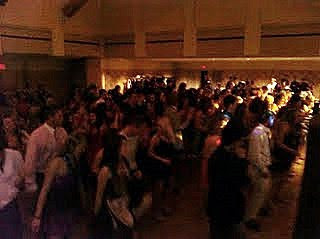 This past week I Dj'ed Washburn University's Homecoming in Topeka Kansas. Caley Onek was in charge of the whole event and she did a great job. From the formal decor' to the presentation of the Homecoming Finalists. The party was truly all class. The students were ready to get down and danced to every song. It was a great event and a nice change of pace. I can only hope we are fortunate enough to entertain Washburn's finest in the near future! Caley thanks again for all your hard work and hope the rest of the Homecoming events went just as amazingly!